In a promotional event that seems more out of "The Polar Express" than Dickens, Disney will launch a 40-city train tour to promote their upcoming holiday flick "Disney's A Christmas Carol." 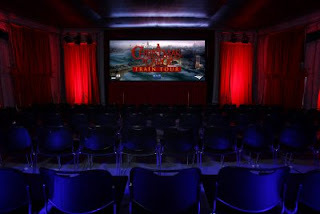 The tour will start at Union Station in Los Angeles on May 22nd and wend its way cross-country, traveling through 36 states before arriving at New York City's Grand Central Terminal on October 30th. 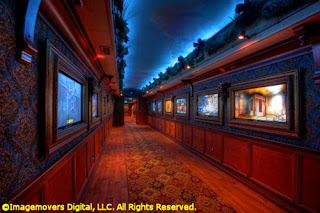 The train will contain interactive exhibits and will include artifacts from the Charles Dickens Museum in London. 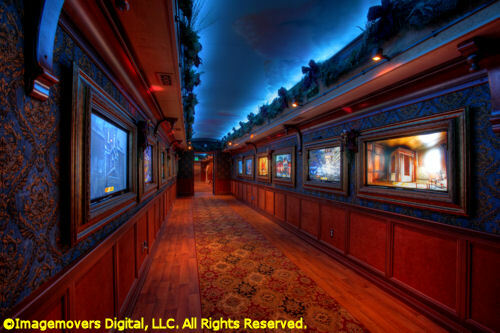 At each stop, an "inflatable" 3D theater will be erected to give visitors a sneak preview of film. Carolers, holiday decorations and snow will add to the festivities. Shot in 3D using performance capture animation, "Disney's A Christmas Carol" will star Jim Carrey as the miserly Ebenezer Scrooge and each of the Christmas spirits. The movie is directed by Robert Zemeckis ("The Polar Express," "Back to the Future") and opens nationwide on November 6th.